From cities filled with museums and landmarks, to coastal and country escapes, there are many amazing places to choose from when planning your honeymoon to Spain. Located on the Mediterranean Sea, Barcelona is famous for its incredible architecture, featuring many buildings by Antonio Gaudi. Visit Madrid, the capital city of Spain if you love art, manicured gardens and historic attractions. The Museo del Prado is the most important art museum in the country, featuring collections of European, Spanish and art from around the world. Seville is one of the most beautiful cities in Europe, located on the banks of the River Guadalquivir. Explore the Old Town which contains three UNESCO World Heritage Sites. The city has over 4,000 tapas bars where you can sample local food and wine. 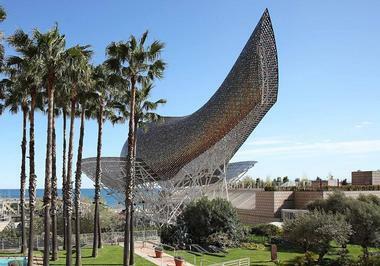 Valencia is the third largest city in Spain, offering a number of tourist attractions, including Valencia Cathedral, Llotja de la Seda (a World Heritage Site by UNESCO) and the Museu de Belles Arts de València. Spain's Canary Islands are a popular vacation spot, attracting over 12 million visitors every year. The islands enjoy warm subtropical climate and feature incredible scenery. Costa del Sol in the south of Spain offers scenic beaches and charming coastal towns. 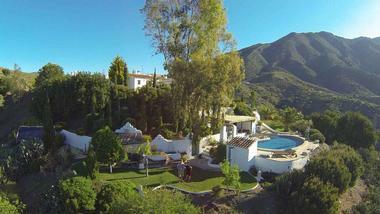 Exuding a rich heritage nestled deep in the roots of Andalucian culture and an elegant, old-world charm, Cortijo El Carligto is a romantic hacienda in the heart of the mountainous coastal region of La Axarquia that promises a tranquil and luxurious country escape. Basking in the Spanish sun on a ten-acre hilltop estate, the luxury hideaway comprises two stylish properties – El Carligto, which sleeps eight people and the Hunting Lodge, which sleeps six. Separated by beautiful landscaped gardens to offer absolute privacy, the villas are a dream hideaway for couples and honeymooners. Rustic Andalucian heritage merges with modern amenities to create contemporary-chic abodes that offer every luxury for an unforgettable honeymoon. Exquisite gardens surround a sparkling swimming pool with spectacular views across the Mediterranean Sea. A personal villa chef will serve gourmet culinary delights to suit every taste in elegant settings, while professional masseurs will pamper you with indulgent massages and body treatments. Stay in shape with a personal trainer with morning yoga sessions or trail running through the magnificent landscapes around the estate. Daily rates start at 500 Euro and include gourmet chef service, housekeeping and a 24-hour concierge. 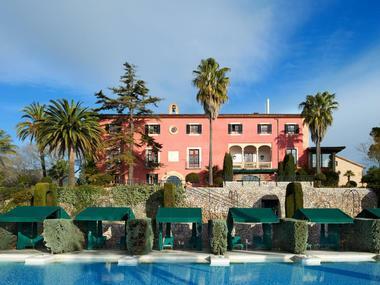 Surrounded by the majestic Sierra Tramuntana Mountains on the exquisite 17th century Son Net Estate in Mallorca, Gran Hotel Son Net exudes historical elegance, luxurious grace and old-world charm. Renowned as Mallorca’s finest boutique hotel with breath-taking views, opulent accommodation and unrivalled service, this exquisite retreat promises to delight. Surrounded by exquisitely landscaped gardens, contemporary-chic rooms and suites combine traditional stone, wood, and tiles with floor-to-ceiling windows to enhance the elegant interiors that house king-size beds with plush down duvets, and traditionally handcrafted 'Tela de Lenguas' fabrics from the island. A spacious en-suite bathroom has a lavish bathtub and rain shower and pampering amenities. Dining is an unforgettable experience at the Gran Hotel Son Net as you savor the best of Mediterranean cuisine in magnificent surroundings. Dine in style in an aura of timeless elegance at Oleum Restaurant, or at the outdoor Gazebo Poolside Restaurant in the summer months with magnificent valet views. Enjoy a nightcap in the elegant Bar Son Net dinner, which offers a range of fine wines and whiskies. Welcoming hospitality and outstanding service greets you on arrival at this luxurious hotel, where you have access to a beautiful 30-meter swimming pool, the exclusive La Fuente Spa that offers a range of pampering body treatments, and a range of personalized services, including daily newspapers, porter assistance, and 24-hour room service. Rooms start at 269 Euro per night. Perched on top of a hill on the island of Madeira in Portugal, Choupana Hills Resort and Spa is one of the top spa vacations in Europe. 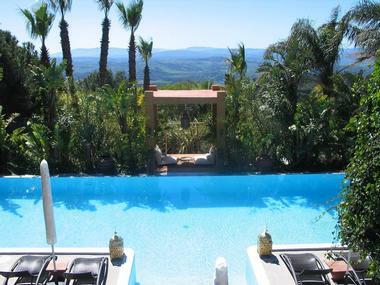 This is a great spot to relax with a view, unwind at the European-style spa and soak up the sun by the pool. The resort is a great idea if you are looking for unique island vacations in Europe. The resorts features 34 bungalow-style units on stilts with verandas, surrounded by beautiful gardens. The wellness center, the restaurants and the library are situated in two larger buildings which are decorated with worm earth tones and built from wood and stone. The resort has two heated swimming pools: an outdoor lagoon swimming pool and an indoor pool next to the spa. The wellness center offers an impressive selection of treatments from around the world, including massages, aromatherapy, reflexology, diet plans and bath treatments such as sauna and Turkish hammam. Golfers staying at the resort receive discounted rates at the 27-hole Santo de Serra Golf Course and the 18-hole Palheiro Golf Course. Luxury guest rooms feature vaulted ceilings and private sundecks overlooking the ocean or the gardens. If you are planning a romantic trip, splurge on one of the four suites with outdoor jacuzzis and scenic views of the Atlantic Ocean. The Xopana Restaurant serves innovative fusion cuisine in an elegant setting. Basalt Bar and the Pool Bar offer snacks throughout the day, while afternoon tea is served in the Lounge. VacationIdea.com Vacation Tip: You can rent a car at the airport if you wish, but if you are weary of winding roads up and down the hills of Madeira, take a taxi to the hotel. Once you are there, you can take advantage of the courtesy bus service to and from the center of Funchal several times per day. In Funchal, enjoy shopping, sightseeing and dining. Rates start at 275 Euro per night, depending on the season. (+351-291-206020, choupanahills.com). Get away to the spectacular Canary Islands off the coast of Spain and stay in a five star resort with a great beach, spa and a variety of dining options. Gran Bahia Del Duque Resort Tenerife offers travelers relaxed island living and great views. Island of Tenerife is the largest of the Canary Islands and the most popular tourist destination, home to the third largest volcano in the world, El Teide. There are 351 rooms, including 48 luxury suites and 3 spectacular private villas. Rooms and suites in The Casas Ducales feature Colonial-style decor and personalized butler service. Ask for a room with a balcony overlooking the Playa del Duque Beach. Plan a luxury honeymoon to the Canary Islands and stay in one of the three beautiful villas with private pools and 24 hour butler service. The elegant, contemporary accommodations offer spectacular ocean views, spacious lounges, terraces and gardens, perfect for a luxury vacation. The villas were built using volcanic stone to pay tribute to the third largest volcano in the world, located on Tenerife Island. The three houses have a private reception area, reading lounge overlooking the resort's main pool, a la carte aromatherapy baths and Bang & Olufsen music players. Las Mimosas has two spectacular glass bedrooms with direct access to the gardens. There is a sun deck, dining area, gardens and a private heated swimming pool, perfect for relaxing in the sun. Villas Las Retamas is a two-storey resodence with a romantic four-poster bed, original Moroccan carpets and exclusive furnishings. Outside you will find a spacious sun deck, dining area and an infinity edge pool. Las Palmeras is ideal for honeymooners who like taking baths together. The house has a spacious bathroom with a large tub set in basalt stone, a natural skylight, a menu of aromatic baths and a wide selection of Aqua di Parma products. Choose from 9 restaurant serving dishes from around the world, including international, Italian, Oriental and local cuisine. Room rates at the hotel start at 318 Euro per night. 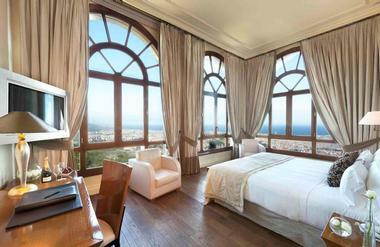 If you want some of the best views of Barcelona from your bed, check into Gran Hotel La Florida. The luxury getaway towers high above the city and offers spectacular views from many of its rooms, the outdoor swimming pool and the restaurants. Barcelona is the second largest city in Spain and is home to several World Heritage Sites, including the works of architect Antoni Gaudi which can be found throughout the city. Zen Zone Spa has an indoor swimming pool, gym and several treatment room where you can receive a relaxing massage. Ask for one of the rooms with the bedroom and the bathroom facing the city. You can take relaxing baths while enjoying scenic views. If you want your own terrace with a view, ask for one of the spacious Terrace Rooms. Check into one of these designer accommodations on your trip to Barcelona and enjoy some of the most incredible views of the city from your private oasis. The 2,141 square foot Presidential Suite is made up of two beautiful areas (which can be booked separately). Tibidabo and Miramar both offer Macael marble baths and a living area with large windows. Soak in the terrace Jacuzzi and relax in the hammock with a view. The Japanese Suite is inspired by the design from the East. Designed by Dale Keller, it features an outdoor Jacuzzi with views of a spectacular Japanese garden. The bedroom, separated from the living room by a revolving plasma TV, has a Japanese bed and unique views to the inside of the Zen Zone Spa. The 581 square foot Tower Suite has two floors. The lower floor has the bedroom area, a small living area and spacious bathroom made of Guatemalan marble and a bath designed by Philippe Starck. The upper floor is accessed by an open stairway. There is a large living space with a revolving mirror, sofa bed and a great view of the city. Penthouse Loft is the most modern of the the accommodations. Designed by Ben Jakober and Yannick Vu, it is decorated with exclusive furniture, artwork and sculpture. There are three restaurants serving Catalan, Spanish and Mediterranean cuisine. Rooms start at 242 Euro per night (+34 93 259 30 64). Barcelo Asia Gardens & Thai Spa is an Asian-inspired getaway with tropical gardens and pools. Play golf on two golf courses, visit three theme parks and get pampered at the spa. You will feel like you've been transported to Asia at this fantastic hotel in Alicante, Spain. Guest rooms and suites are decorated in modernist Balinese style with an outdoor terrace. Ask for a room with a view of the Mediterranean Sea so that you can enjoy great views on vacation. Great for couples on a romantic getaway, Deluxe Suites with a Jacuzzi have large windows with spectacular views. These suites are located on the highest floors and have terraces with Jacuzzis. 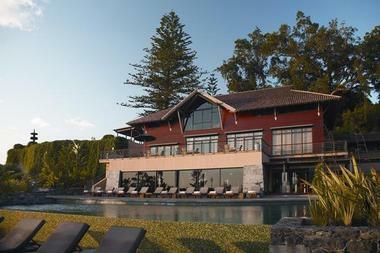 The hotel also offers several specialty suites, including Suite Langkawi, Suite Jakarta and the Presidential Suite. Receive traditional Thai massages from therapists who train at Wat Pho, the national centre for the teaching and preservation of traditional Thai medicine. The spa of the Barcelo Asia Gardens is a relaxing hideaway for couples and families who enjoy diverse spa treatments. Relax in the outdoor jacuzzi and request a Thai massage in one of the outdoor huts. There is a plush relaxation area and a Turkish bath great for a detox. The indoor treatment rooms are especially designed for Thai and Balinese massages. There are 7 outdoor massage rooms where you can get a treatment surrounded by a tropical garden. Try the 4-hand massage where two therapists work together in rhythmic harmony. This treatment combines 5 different styles of massage from around the world. The resort offers four restaurants serving Asian flavors, traditional Mediterranean and international cuisine. There are four bars and lounges, including a Champagne Bar, the Bonsai Lounge, Zen Snack Bar and the Palapa Bar. 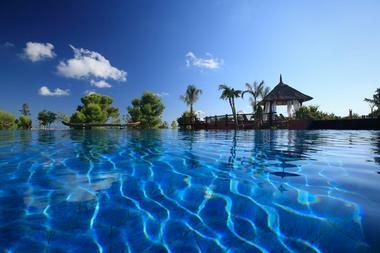 The resort offers many outdoor swimming pools, most with infinity edges. Three pools are heated and the opening hours vary by season. Guests staying in one of the luxury suites have access to special VIP areas and an exclusive swimming pool. Room rates at the hotel start at 373 Euro per night. El Palace - Barcelona is a historic hotel that dates back to the 1919. The hotel has been completely redone, preserving its grand public areas and gilded decor. If you are looking for unique place to stay in Barcelona, this historic hotel offers a great location and comfortable rooms. 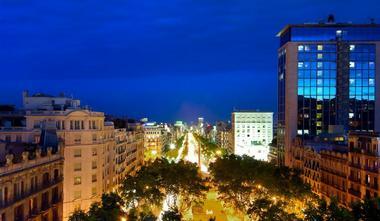 The hotel is located in the city center, close to Las Ramblas. You will be near many great shops and top tourist attractions. The newly redesigned hotel has 125 guest rooms, including 42 Suites and Junior Suites. The Michelin-starred Caelis Restaurant is famous for its world-class cuisine. Other dining options at the hotel include 19 Restaurant and the cocktail bar Rien de Rien. Relax with a massage at the Mayan Luxury Spa which features a Temazcal Sauna which are quite rare in Europe. Work out in the Fitness Room to stay in shape on vacation. Room rates start at 395 Euro per night (hotelpalacebarcelona.com). La Residencia Mallorca is surrounded by quiet countryside and offers vacationers many luxury facilities and amenities, including a free boat excursion, two outdoor pools, art gallery, sculpture garden, tennis courts, gym and shuttle service to the beach. Mallorca is a beautiful island getaway in Spain. Surrounded by the Mediterranean Sea, the island offers scenic beaches, great food and a many vacation activities. Ask for one of the suites with a private outdoor pool where you can cool off during warm summer days. Each suite has a plasma screen, wet bar and open fireplace. You'll be able to enjoy spacious terraces surrounded by nature. The three-story Villa at the hotel used to be a private residence and offers spectacular views of the village of Deia and the Mediterranean Sea. Vacation activities include donkey trails, cooking classes, vespa excursions, mountain treks, art tours, painting, ceramics and sculpture. El Olivo restaurant serves award-winning Mediterranean cuisine. Cafe Miro is a bar and bistro offering lunch, afternoon tea and dinner. The Pool restaurant is open during the warmer months. Room rates at the hotel start at 599 Euro per night. 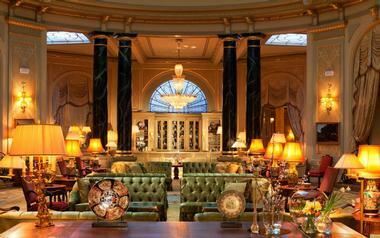 Hotel Ritz Madrid is a historic luxury hotel in Madrid, Spain. The Ritz is located next to the Prado and the Thyssen Museum and is one of the best romantic hotels in Spain. The hotel's 137 luxury rooms and suites are decorated in belle epoque style. Guest rooms feature handmade carpets, beautiful bed linen, and marble bathrooms. Ask for one of the Deluxe Rooms with a view of the Prado Museum or the hotel's garden and Neptune Square. Each bathroom has a separate bath and shower. Some of the rooms have a private balcony, perfect for enjoying a romantic breakfast overlooking Madrid. Several suite options are offered at the hotel. Guests booking a suite receive a dedicated butler service. Junior Suites overlook the beautiful gardens and are very peaceful. In the afternoon, enjoy the hotel's famous Traditional Afternoon Tea service. The hotel was built in 1910, giving its guests a chance to step back in time. Room rates start at 365 Euro per night (+34 91 701 67 67). Casa Fuster is an elegant hotel in Barcelona, decorated in Art Nouveau style. The hotel has a rooftop pool terrace and a jazz club. 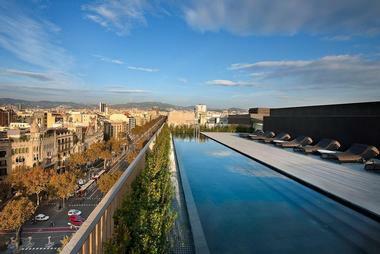 The hotel is located in the center of Barcelona, near many shops, restaurants, museums and historic attractions. The hotel has 105 guest rooms decorated with natural tones. Galaxo restaurant on the first floor of the hotel serves Mediterranean food which incorporates fresh seasonal products. Cafe Vienes is a popular meeting spot for locals and tourists alike. On Thursdays, the cafe transforms into a Jazz club which has hosted many famous artists such as the Yoshida Brothers, Eddy Davis and the New Orleans Rag Trio. Room rates at the hotel start at 238 Euro per night. Located in the heart of the city, the Mandarin Oriental, Barcelona offers a beautiful rooftop pool where you can relax with scenic views on your trip to Spain. The hotel has chic contemporary interiors, a luxury European spa and a choice of dining venues. Ask for a Deluxe Terrace Room which has a private outdoor terrace overlooking the gardens. The rooms have white walls, light wood floors and contemporary designer pieces such as a black desk and a chic white armchair. Amenities include goose down bedding, separate bath and walk-in showers, luxurious bathroom amenities by Red Flower and twice daily housekeeping service with complimentary water during turndown. The Terrace Suite, located on the 7th floor of the hotel, offer plenty of natural light, while light oak floors and soft woven rugs. A large wooden terrace runs along the full length of the suite and offers the perfect setting for a romantic dinner with a view. The Barcelona Suite has spectacular view of Passeig de Gracia from every room, including the spacious modern bathroom with a free-standing tub. You may also like: 16 Coolest Hotel Bath Tub Views. The Penthouse Suite occupies the entire top floor and offers the best views of the city from its guest accommodations and from the extra large outdoor terrace. The spa is a beautiful facility with an indoor treatment pool, luxurious relaxation areas, 6 treatment rooms and 2 couples suites. Asian-inspired treatment rooms and suites create a space of calm in the heart of Barcelona. Allow plenty of time before and after the treatment in order to take full advantage of the beautiful spa facilities. Relax in the Oriental steam room, swim in the pool and enjoy the wonderful relaxation area. There is a full-equipped fitness center where you can work out and stay in shape while you travel around Europe. Moments serves gourmet Catalan cuisine and Blanc Brasserie & Bar serves contemporary cuisine all day long. Mimosa Garden offers Asian-Inspired Mediterranean dishes surrounded by beautiful hotel gardens. For a great selection of cocktails, head to Banker's Bar. Rates start at 445 Euro per night (mandarinoriental.com/barcelona). Villa Real Hotel is a five star luxury hotel centrally located near the Madrid Stock Exchange, House of Parliament and Prado Museum in Madrid, Spain. Plan a cultural vacation at this stylish hotel and admire the extensive art collection which includes Greek and Roman works of art. Many of the guest rooms, the bar and the lounges feature Roman mosaics from the third century A.D. A Roman statue of Aesculapius, dating back to the first or second century A.D., is located in the reception area. One of the hotel lounges exhibits a collection of Greek Apulian vases from the third century B.C. The interior design of the Villa Real Hotel elegantly combines ancient pieces of art with the modern style of the hotel. There are 115 guest rooms, individually decorated incorporating Greek and Roman works of art. All the rooms have recently been refurbished with new furniture, floors and walls. The hotel features three restaurants: Europa, Azulete and East 47, recently opened in honor of Andy Warhol. East 47 specializes in contemporary cuisine. Guests can dine at Villa Real restaurants surrounded by priceless works of art. 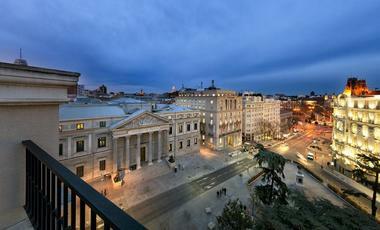 Located in the center of Madrid, the hotel is a great starting point for exploring the city. Madrid Stock Exchange, House of Parliament and Prado Museum are located nearby. Spring (April and May) or fall (September and October) is the best time to visit Madrid because of mild temperatures. Barajas Airport is about 8 miles from the center of Madrid. You can get a taxi at the airport or rent a car (+34-914-203-767, hotelvillareal.com). Enjoy a vacation filled with art, gourmet food and relaxing spa treatments when you stay at Hotel Arts Barcelona. The property features the ‘Peix’ fish sculpture, Sphere sculpture and Frank’s Bar, named after famous architect Frank Gehry. This unique hotel is home to 43 The Spa, one of the top spas in Europe, offering a diverse menu of therapeutic treatments. The interiors are decorated in a contemporary style with unique designer touches which complement large picture windows. Guest accommodations feature luxurious bedding, spacious bathrooms, state-of-the-art entertainment systems and spectacular views of the city and the sea. The suites and luxury duplex apartments are situated on the upper floors of the building. Each suite has a private lounge, guest bathroom and spectacular views of Barcelona and the Mediterranean. Arts suite on the 30th floor is a Club level suite with a one-bedroom layout which stretches over the entire seafront facade of the hotel. Wrap-around windows offer some of the best views in Barcelona. The interiors for this suite were created by Josep Juanpere of GCA Architects, including a lounge area with an inviting fireplace, dining area, and a spacious bathroom with dressing room, separate rain shower and bathtub. The Mediterranean suite offers stunning views of the Mediterranean and the Port Olimpic. The lounge houses a baby grand piano and offers a great space for a party. The property offers 44 executive suites located on the 19th floor and above. The suites have a private lounge and a guest bathroom. All of the suites and rooms offer 24-hour room service, separate bathtub and shower, and High-speed Internet. The spa is located on the 43rd floor. Enjoy incredible views of the city and the water while you relax on your vacation in Spain. Try one of the signature therapies which utilize the Diamond Collection by Natura Bissé. Spa facilities include 8 luxurious treatment suites, saunas, ice fountains and vitality pools. There are six restaurants at the hotels, offering a diverse choice of flavors. The two Michelin star Enoteca serves contemporary Mediterrean cuisine with an emphasis on fish and seafood. Enoteca’s cellar features more than 500 wines. Arola is a casual eatery, serving traditional Mediterranean cuisine, served tapas style for informal sharing. 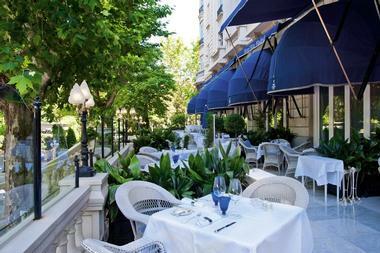 During the warmer season, enjoy outdoor seating on the restaurant terrace. DJs play creative music mixes while you dine. Bites serves fast and informal dishes in a relaxed setting. Choose from salads, beef or tuna tartare, cheeses, sandwiches, a foie gras hamburger or a selection of desserts. Marina is one of the favorite spots to dine in the summer, offering views of the sea from its location near the pool. Café Veranda serves a great buffet breakfast either indoors or outdoors. Room start from 250 Euro per night. 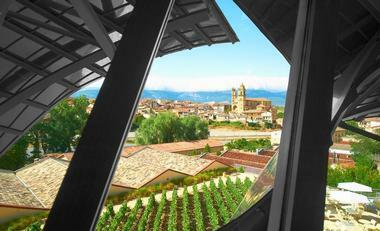 Hotel Marques de Riscal is a design masterpiece, created by renowned architect Frank O. Gehry. The hotel is located in the Rioja wine region of Spain, ideally situated as a starting point for a wine country vacation. The hotel has 43 guest rooms and suites with modern interiors and unique design. Sample regional food and wine at the hotel's 1860 Restaurant, The Wine Bar Vinoteca and the Rooftop Lounge - Library. Complete your relaxing vacation by visiting Caudalie Spa featuring an indoor swimming pool, 14 treatment rooms, and a fitness center. The European spa offers "wine therapy:" treatments that incorporate products made of grape's extract and mineral water. Patrons can choose from wet body treatments, dry treatments, facials, manicures and pedicures. Caudalie Spa also offers a selection of rituals and escapes which will leave you relaxed and rejuvenated on your vacation. Rooms start at 310 Euro per night (hotel-marquesderiscal.com).